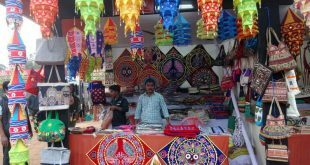 Bhubaneswar: The 11th edition of Toshali National Crafts Fair transacted a business of over Rs 15 crore despite the demonetization hassles. 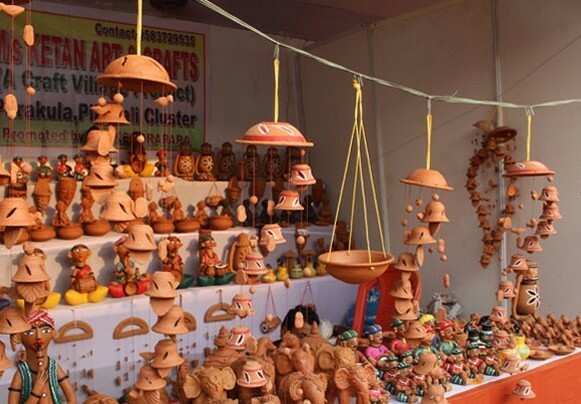 The handicrafts and handloom sector transacted Rs 12.93 crore while the food court managed to transact Rs 2.53 crore at the crafts fair, which concluded on a high note at Janata Maidan here on Tuesday. The fair also witnessed a record footfall of over 15 lakh, which is almost a lakh more than last year. State-run society for promotion of handloom and handicrafts was gifted with a cheque of Rs 50,000 for best apparel presentation at the fair. “Despite the demonetization hassles, the business is quiet good. The fair offers for a wholesome entertainment to all groups of people. So, it attracts crowd in large numbers,” said joint secretary of state handicrafts department, Raja Parija. The state government had initiated a number of steps to tackle demonetization hassles. While it had set up ATM counters to ensure easy cashless transaction for the visitors, a number of point of sale machines were also made available. Handicrafts made of carved wood and stone, patta painting, madhubani, dhokra craft, terracotta, durry carpet, metal craft, cane and bamboo were displayed. Handloom products made from silk, tussar, cotton, ikat, bomkai, chanderi, banarasi and many others were exhibited. This year as many as 400 handicraft and handloom kiosks were set up. Thirty food kiosks were also there that offered cuisines such as Indian, Chinese, Continental and Tandoori apart from traditional Odia food. 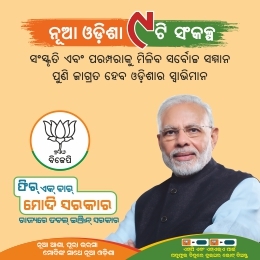 This year, the state government promoted Pipili appliqué work. A demonstration kiosk was set up where women artisans showcased the process of making appliqué products. Also, traditional artisans were showcasing the process of making palm leaf paintings. 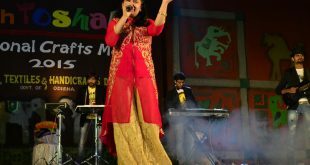 The festival also witnessed cultural programs every evening while people also enjoyed the melodious songs of Bollywood singers.